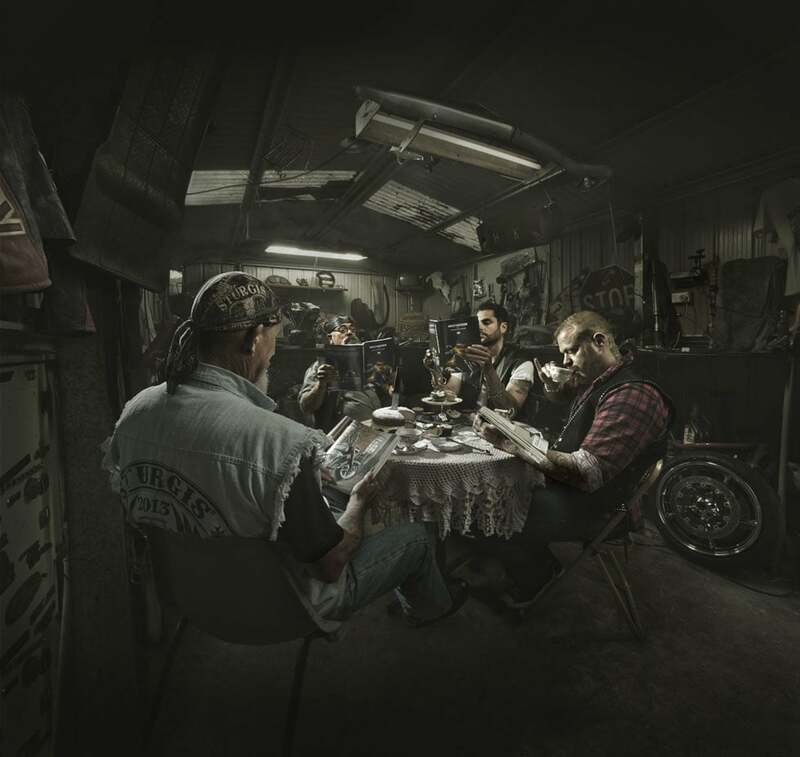 This fabulously quirky image promoting the 2014 Harley-Davidson catalogue was created by 303Lowe. Art director Adam Whitehead wanted to create a unique way to promote the release of the catalogue â€“ a â€˜Book Clubâ€™ complete with skull and cross bone china. Photographer Sean Izzard created the perfect Harley â€˜flavouredâ€™ environment in his images, which then had a little talent swapping for the right expressions and a final grade.